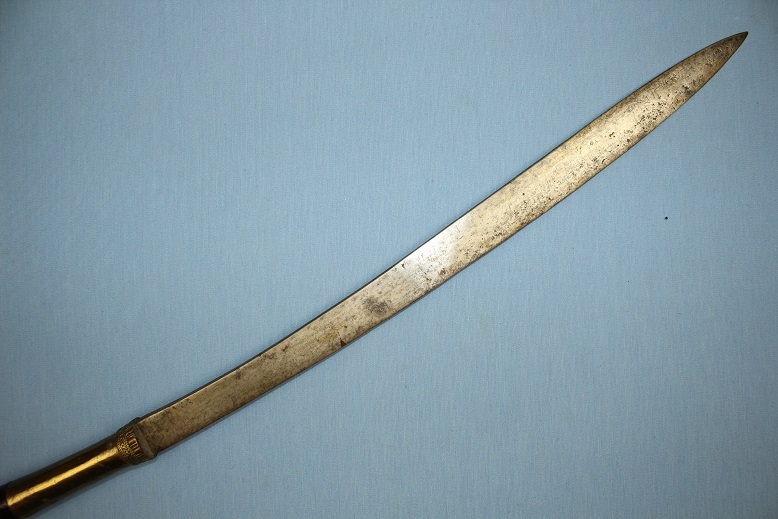 A very good and rare Laos sword with an Ayutthaya period blade type. 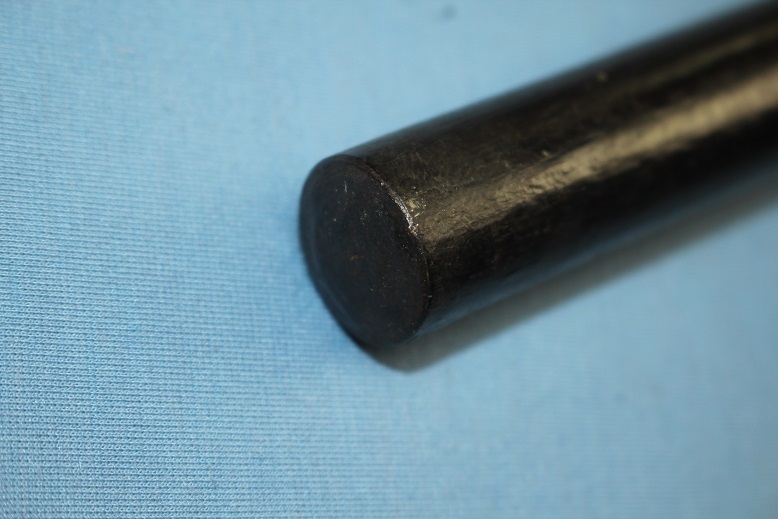 Initially our thoughts about this rare Daab type was that it was a pole arm reduced in length but under closer examination it is most certainly, always a sword type. 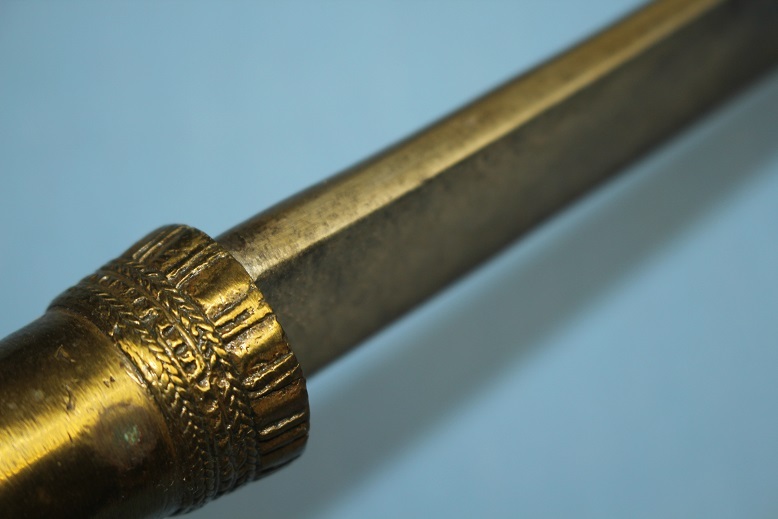 The deep dark and rich patina is totally consistent throughout the hilt end and the entire hilt surface and its thickness is in line with the full samrit type swords of the region rather than the thicker more substantial weight bearing pole weapons of the region. These aspects and that the fore grip where these sword types are held, and the fine samrit collar, the grip area is contoured to the hand. The sword itself measures 82.5cms long and carries a blade length of 44cms. 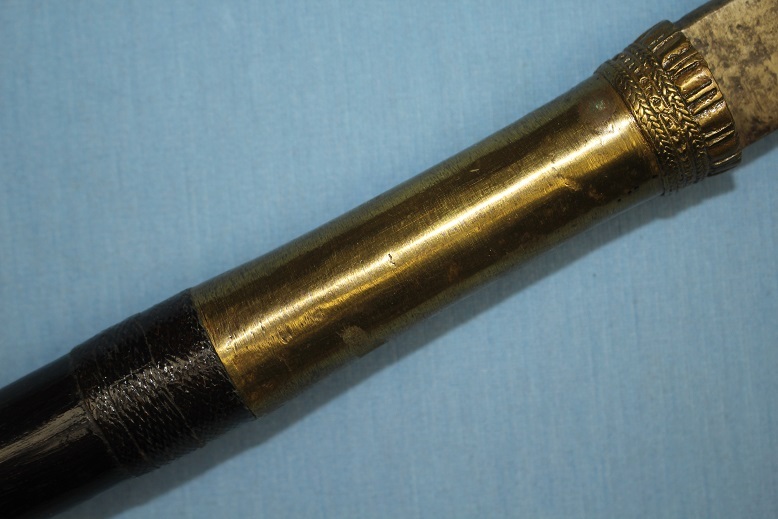 The hilt a dark hardwood type, there appears to longitudinal black and brown striped grains which is typical of rare Rosewood, a timber used in many higher end items. The fore grip is a beautiful cast samrit section with interesting detail at the blade junction and exceptional deeply patinated fine rattan binding. The blade, as noted is of a very rare Ayutthaya period profile. Its gently upward curving cutting edge is met with a downward curving spine to form a very capable and string spear shaped thrusting tip. Its spine is thick with a medial ridge running though to the tip. In profile, the blade narrows from its base to approx 8cms along and then broadens gradually through to approx 10cms from the tip, where it again drops to the spear tip. 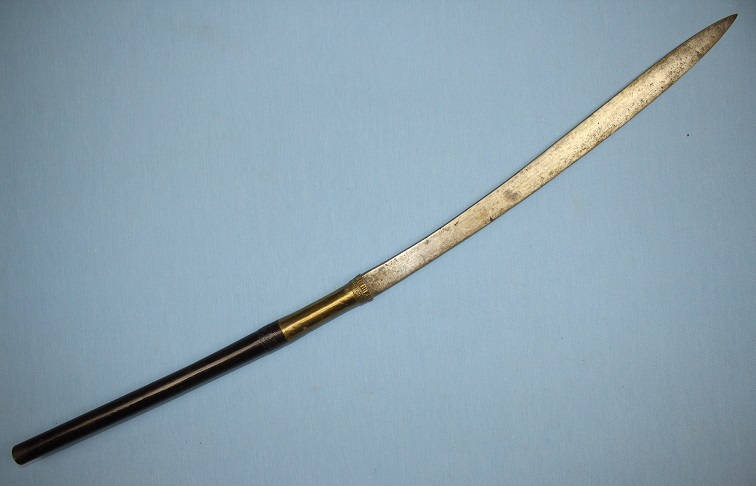 A rare and early provincial Thailand sword, from the Laos regions of greater Thailand.